Mortar shells from Ukraine have again hit Russian territory, damaging a building at a border checkpoint and creating holes in the ground in two villages. The Russian Foreign Ministry has protested the “provocation,” demanding that Kiev investigate it. At least three shells were launched over the Russian-Ukrainian border into Russia on Saturday, with one blasting a border-crossing checkpoint in the Rostov Region. 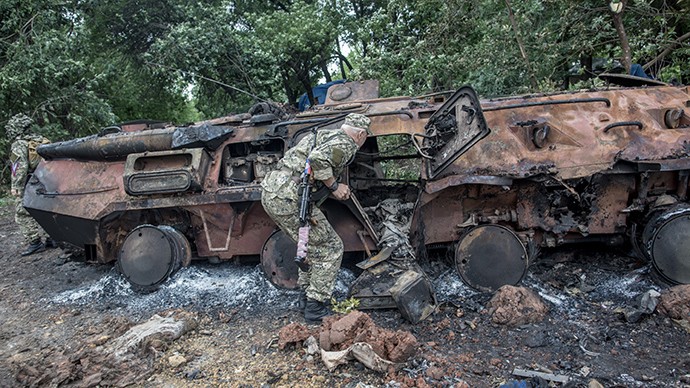 “Today, on June 28, Gukovo checkpoint came under fire. One of the shells hit a building and exploded,” a spokesman for the Federal Security Service’s (FSB) Border Guard administration in Rostov Region, Vasily Malaev, told RT. The building was severely damaged, but, luckily, nobody was injured in the blast, Malaev said. 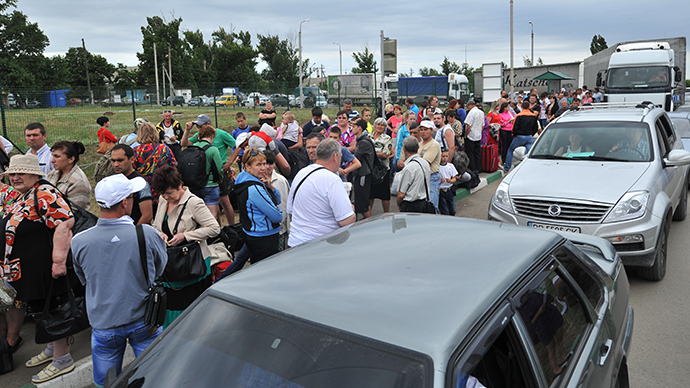 Some 30 Ukrainian refugees were completing their documents at the checkpoint at the time of the attack and were evacuated together with border guards after the shelling started. 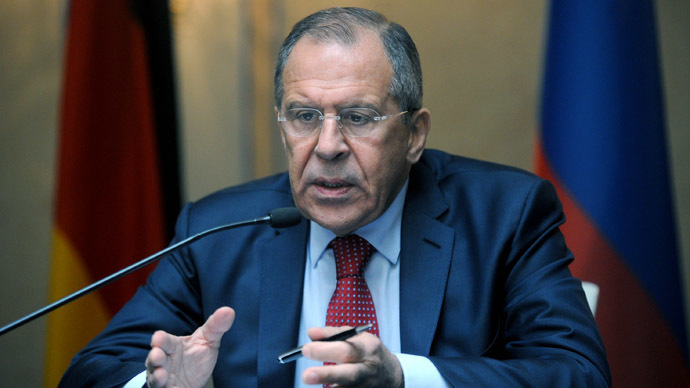 The Russian Foreign Ministry responded with a statement calling the incident a dangerous “provocation” and demanding that Kiev investigate it. “The Russian side strongly protests such provocations of the Ukrainian side, which fragrantly violate the underlying principles of international law,” the ministry said in a statement, demanding that “a thorough investigation into what has happened” be carried out and the perpetrators be punished. Reminding that both Russian citizens and Ukrainian refugees crossing the border could have come under harm, Moscow said the incident is “yet another link in the chain” of Ukrainian ceasefire breaches which undermine Kiev’s dialogue with eastern Ukraine and a peaceful resolution of the conflict. Later on Saturday, Gukovo checkpoint resumed its work despite the damage. Two more shells exploded in the villages of Vasetsky Khutor and Shakhta-24, with clearly visible shell holes reported from the scene. Footage from Gukovo village also showed locals inspecting a large hole in an iron gate in a residential area, supposedly created by a shell or its splinter. 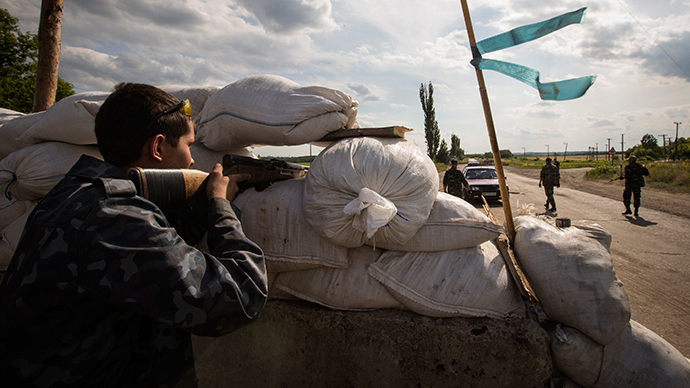 A border guard official told RIA Novosti he believes Ukrainian troops were behind the shelling. The shelling coincided with reports of apparent fighting over the border in Ukraine, with gunfire and explosions clearly heard in the town of Krasnopartizansk (Ukrainian: Chervonopartyzansk). The chairman of the self-proclaimed Lugansk People’s Republic’s (LNR) parliament, Aleksey Karyakin, told journalists that Krasnopartizansk morning was attacked by the Ukrainian forces on Saturday in an apparent breach of the prolonged ceasefire. “Despite the agreement [on a ceasefire] that we reached at a meeting yesterday, this morning Ukrainian forces shelled Krasnopartizansk town,” Karyakin was quoted as saying by RIA Novosti. The Ukrainian troops entered the town but were pushed back from the area by the self-defense, Karyakin said, adding that the area is currently “encircled” by pro-Kiev forces. According to the LNR official, Ukrainian troops have been acting as if they were “living their own life, apparently oblivious of the Ukrainian president’s [Petro Poroshenko’s] order.” On Friday Poroshenko decided to prolong the ceasefire until June 30. While Poroshenko voiced hopes that his ceasefire would work and there will be no need for “Plan B” and the use of force, Kiev has been amassing its troops in eastern Ukraine over the last week, according to anti-Kiev authorities. Clashes have been routine during the week, and separate reports of Ukrainian troops allegedly firing at vehicles continued to emerge. According to Karyakin, there are “cases of sniper fire at civilian vehicles” driving in the direction of the Izvarino checkpoint on the border with Russia. 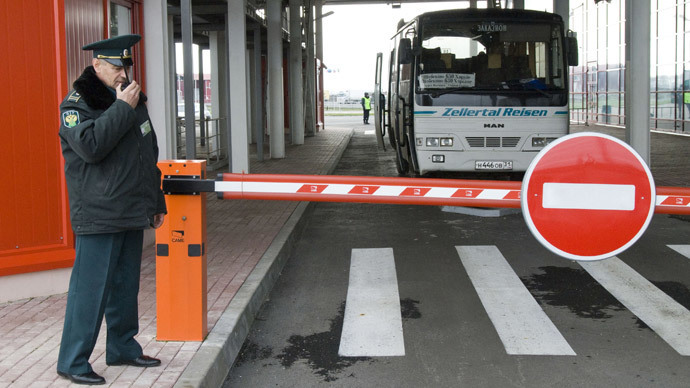 The contested Ukrainian border checkpoints, some of which are controlled by the self-defense forces, have been one of the subjects of talks between Kiev and eastern Ukrainian representatives. Self-defense has refused to surrender the checkpoints, but an agreement on OSCE representatives monitoring the passing of refugees and the delivery of humanitarian aid has been reached. No OSCE observers have so far arrived to the checkpoints, according to Karyakin. Meanwhile, on Saturday Kiev refused to accept the 60 tons of humanitarian aid for southeastern Ukrainians collected in Russia, with Ukraine’s Foreign Ministry citing the alleged “uncertainty of its final destination.”.